Pennsylvania DUI Books | Purchase, George & Murphey, P.C. You Need Answers. And You Need Them Fast! 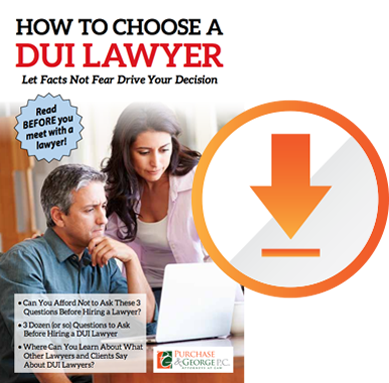 Get Your Free eBook About How to Choose a DUI Lawyer Before You Meet Anyone. REMEMBER: Requesting our book does not make you a client of Tim George or Purchase, George & Murphey, P.C. This book is just a way to educate yourself about the challenges and difficulties you face choosing a DUI lawyer and how to make smart decisions as you look for solutions to the problems a Pennsylvania DUI creates for you. There is no charge for these books and your contact information will not be sold or given away to anyone. Download how to chooose a pennsylvania dui lawyer for free!